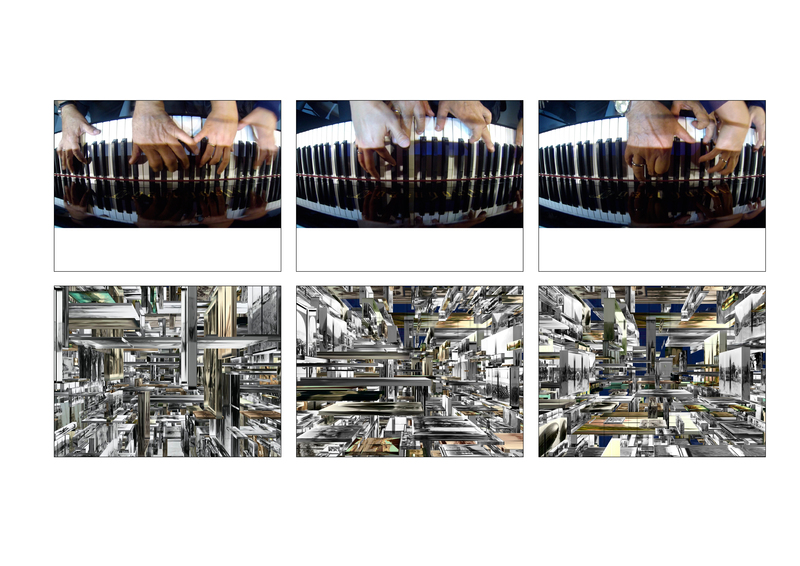 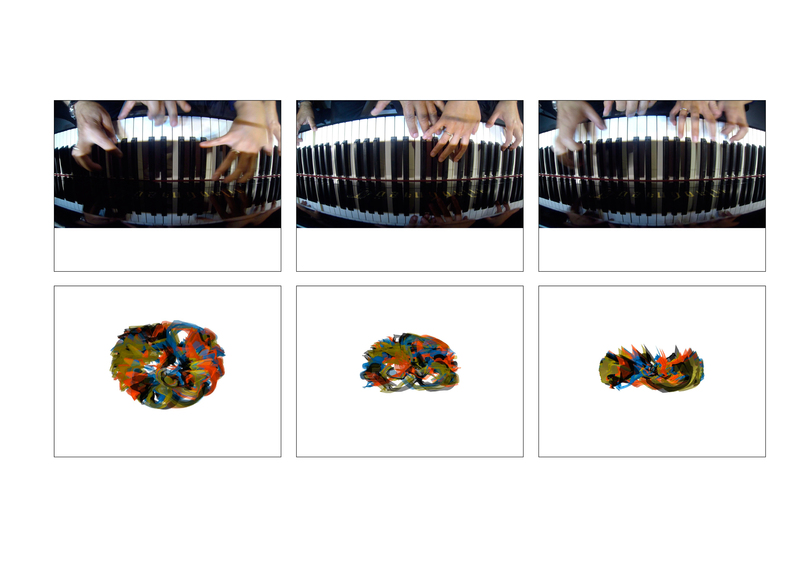 Stills from the pianists hands synchronized with stills from the digital visualization are mounted together on large prints hanging on the galleries wall. 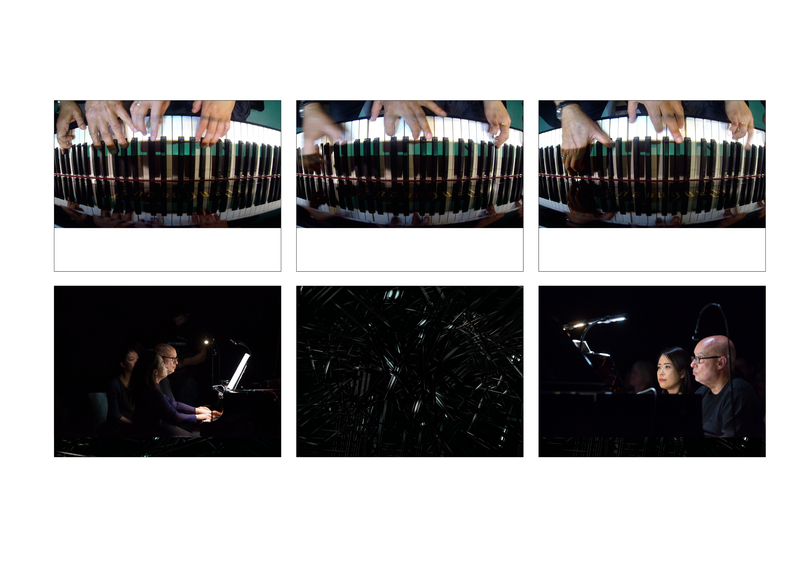 These frozen moments create the counterpart to the computer controlled grand piano in the middle of the room which replays the performance from which the video stills and the computer graphics have been taken. 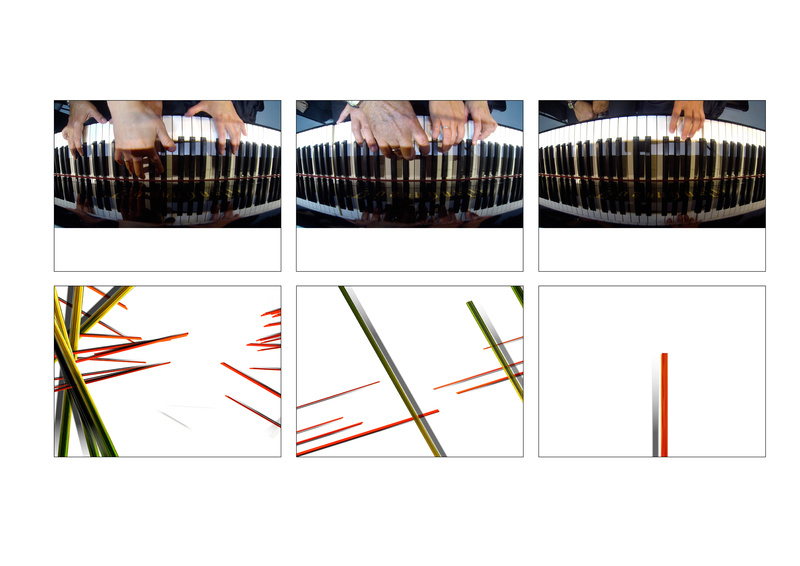 The physicality of the piano and its analog sound meets the virtuality of the digital images.